Heavy duty power that will never fail. Those in need of a tough, strong, and durable truck that can handle any task you put it through should give the 2017 Toyota Tundra serious consideration. The Tundra embodies the true meaning of heavy duty truck due to its size and power, which bodes well when drivers push it to the limit. The full-size Toyota pickup truck starts at a modest base MSRP of $30,120 which limits the damage for those in the market for a larger truck. It gets standard in-class fuel economy for a full-size pickup truck with 15 city MPG and 19 highway MPG. The Tundra ups its game with its consistent reliability for owners even through years of challenging tasks it lasts the test of time. As Toyota’s full-size truck, it will offer prospective drivers plenty of cargo room and power to get the job done with no questions asked. This heavy duty truck supplies ample amounts of features to get you through your next commute, and plenty of utilities to finish your next outdoor project. Similar to all other Toyota models, Tundra comes with a wide range of safety features sure to make your drive a lot more secure. Some of these features include lane departure and collision warnings, brake assist, automated headlights, rearview camera, and a rollover protection system. The Tundra also sports standard features that will improve your driving experience including a 6.1-inch infotainment screen, Bluetooth audio, Siri Eyes free (hands-free voice command). In addition, drivers have the option to upgrade to a Tundra with dual climate control, a moon-roof, 7-inch display, rear parking sensors, and several other innovative perks. 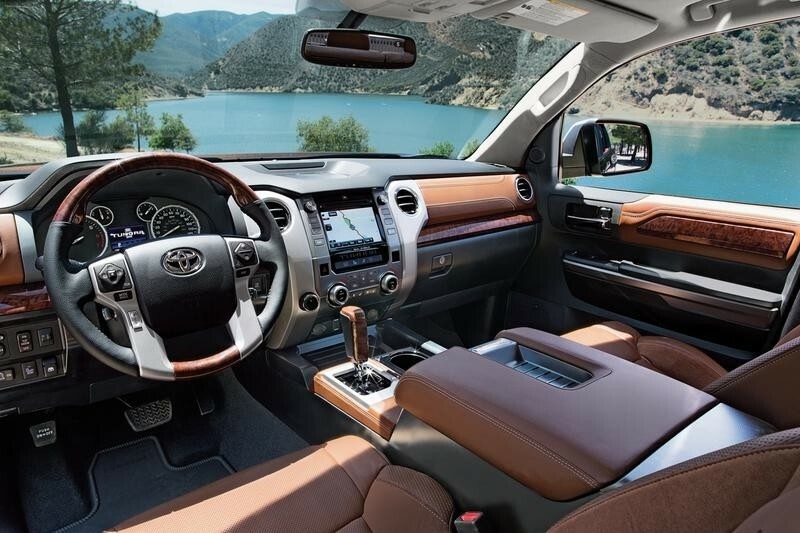 To go with the modern tech, the full-size Toyota truck has some of the best in class passenger space, extensive truck bed space, and a standard V8 engine capable of a 10,100 lbs. of towing. It also holds an above average 3.5/5 durability rating from J.D. Power & Associates. The Tundra is backed by a 4-star safety rating from the NHSTA, which makes the Toyota truck a secure option for potential drivers. 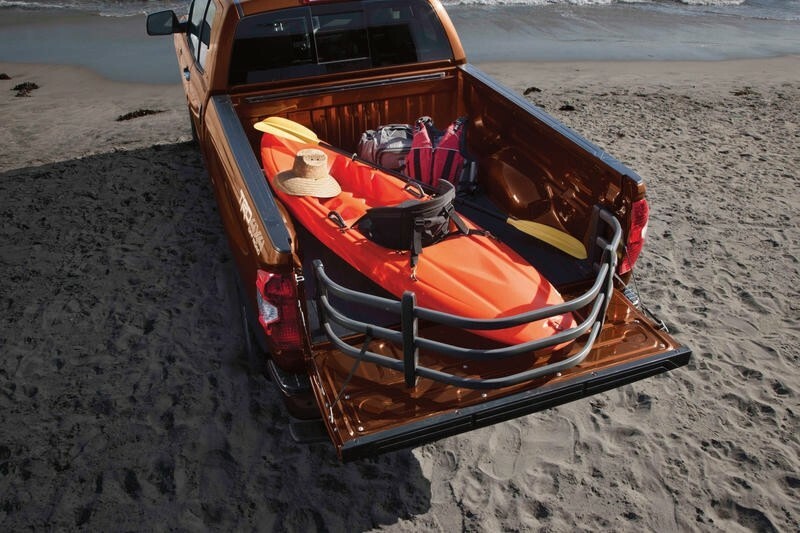 Tundra stays relevant in a crowded full-sized pickup truck class due to its rock-solid track record and durability. Going against its competitors like the Honda Ridgeline, it tends outshine for a variety of reasons. 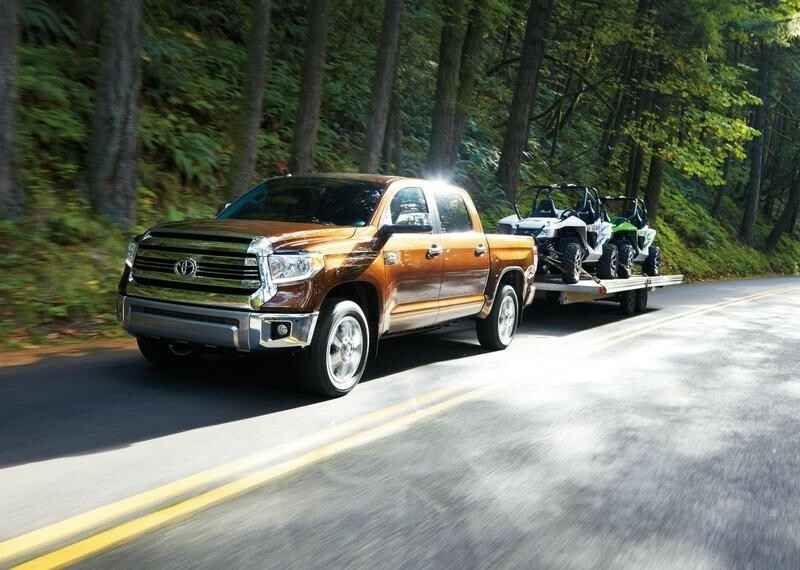 Both start at similar MSRP, however Tundra offers more authentic truck characteristics like a large bed and impressive off-road capabilities that Ridgeline cannot match. Additionally, Tundra has a high-end V8 engine that blows away the V6 under Ridgeline’s hood. Both come with features that are very much alike, however Tundra has the option for more passenger seating and overall passenger space. Considering these two options, Tundra looks to be a cut above Ridgeline, as Toyota’s full-sized truck has more true-truck components.